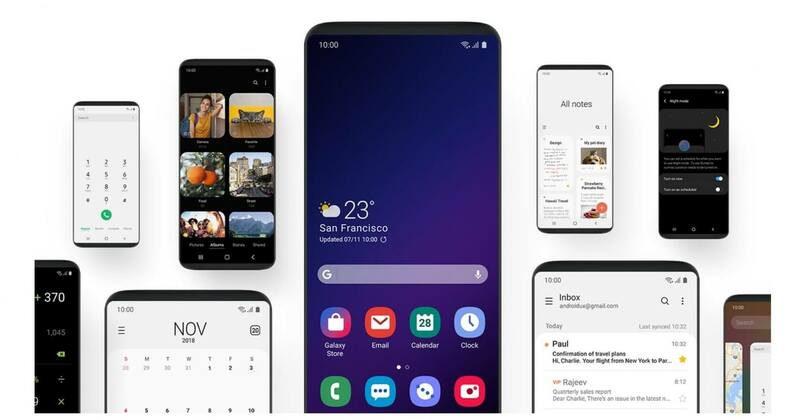 Samsung announced the latest version of its Android re-skin at the Samsung Developers Conference last week, dubbed the "Samsung One UI." Pictures and videos of the UI can be seen throughout the web, but in short, it aims to clean up Samsung smartphones' UI, eliminating unnecessary bulk and giving the interface an aesthetic that more closely matches stock Android. It also rearranges several software buttons, while shifting on-screen elements to a more comfortable position. Text messages, for example, will show midway through your screen rather than at the top; a quality-of-life change that's geared towards those with bigger phones. As great as the upcoming changes sound, there was some bad news for the company's longer-time fans: the One UI was only going to be arriving for Galaxy S9, Note 9, and S9 Plus customers. If you're still using the Galaxy 8-series or 7-series devices, such as the Note 8 or S7 Edge, you would essentially be left in the dust. However, according to information obtained by Android Authority, Samsung has had a change of heart; if only slightly. The outlet claims owners of the S8, S8 Plus, and Note 8 will also be receiving the One UI. This is a bit of an uncharacteristic move on Samsung's part, as many smartphone companies tend to focus their efforts only on their flagship devices, but if it's true -- and Samsung hasn't confirmed that it is just yet -- it's good news nonetheless. The official version of the new UI is expected to roll out sometime next year, but Galaxy 9-series smartphone owners can sign up to test a beta version, which is set to go live "sometime this month."